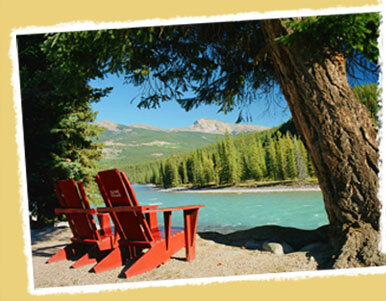 Alpine Village is the ideal Canadian Rocky Mountain accommodation - just what you would expect to find while visiting Jasper National Park. Whether you stay in an upscale deluxe log cabin or a charming heritage log cabin, each provide the perfect blend of comfort and seclusion. Guests return year after year to stay amidst the tranquility of Alpine Village. Jasper’s most popular cabin resort.